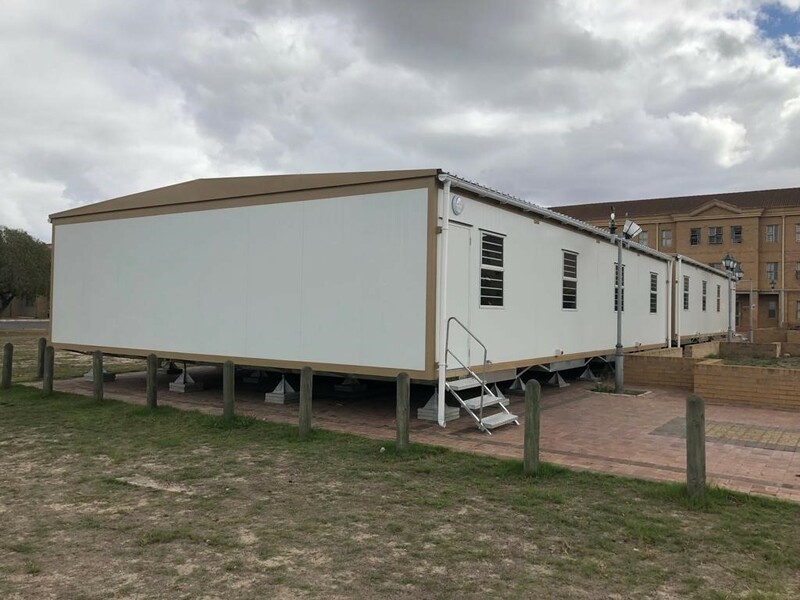 Kwikspace was approached by the Cape Peninsula University of Technology, a longstanding client, to assist with modular units as part of a facilities improvement project. Kwikspace is Africa’s largest manufacturer of prefab and modular buildings that provides prefabricated, modular solutions for any accommodation requirement across industries and locations. CPUT is the only university of Technology in the Western Cape, and the largest university in the province. It required extra space to accommodate lectures and Kwikspace provided two non-standard Kwikspan units to be used as lecture halls for the Bellville campus.